Self Description: I enjoy getting out. Life is to short to sit home and watch the tube. Talking dharma I have been on 4 silent retreats, heard T. Hahn in Chicago, own what the bleep, 2 box cds by eckhart tolle and pema choodron. Seeking: Seeking friendship on the path, ask me about my daily practice what I have learned. Self Description: 54 yr young lady. I'm a Light Worker, hypersensitive person and vegetarian. Love to discuss spiritual ideas, discuss anything that furthers the spiritual path and awakening and aligning the spirit to the universe; Love walks and drives around Los Angeles for green places. Seeking: All ages/groups (religious beliefs, doctrines, disciplines) perhaps to get together for intellectual & spiritual conversations, attend activities/seminars and travels around Los Angeles. If in the L.A. area how about we meet once a month/week for energy exchanges, discussions, etc. Self Description: I’ve always been interested in spiritual issues although I have not been involved with a church or other organization for a long time. I love discussing ideas, but nearing fifty, I find I have been spending too much time recently ‘making a living’ instead, leaving little or no time for meaningful contemplation and inspiration, which are a source of motivation for me. I have attended several classes at the Option Institute, and read all the Seth books. Both deal with belief-construction, which I find highly interesting. The Option Institute has developed a dialogue method which is very helpful in uncovering mental blocks to growth – if a person is dedicated to doing so. I am especially interested in using this modality. Seeking: Interested in meeting people who want to explore their belief systems - especially through the Option dialogue - to consciously create beliefs that serve them better – in a non-judgmental atmosphere. Envisioning meeting regularly (once a week), to discuss issues and ways to improve. Must be willing to put aside time to do this and be very dedicated to this. 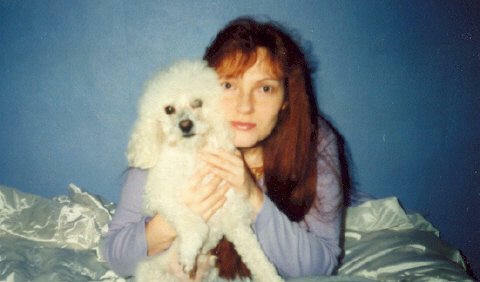 Self Description: I am a single attractive redhead lady 37, Intelligent a warm hearted non smoker, I have no children. I have quite a few interests: Art i do water color paintings. I Love animals. Travel. I'm a student learning about nutrition. I'm also clairvoyant and i read the tarot cards sometimes. Dislikes: smoky places and bad manners. Seeking: Who id like to meet, Id like to make friends with similar interests and id like to find my soul mate a gentleman. 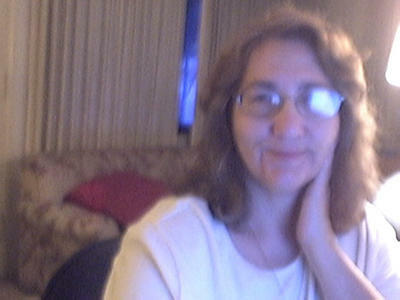 Self Description: I have been involved in numerous new age/metaphysical groups. I study A Course in Miracles, Conversations with God. I would love to start a group that discusses a variety of spiritual book from authors like Zukav, Williamson, Dyer, etc. Online or close to me!!! I am a 41 year old divorced mother of a 15 year old!!! I own a online bookselling business. I also enjoy hiking and outdoor activities. Seeking: I would love to meet others with same interests to discuss issues or topics. Self Description: Author: "White Lies Dark Truth" Website: www.VedicWisdom.com, Doing my share of bringing a change in mass consciousness. Self Description: 40 y/o physician in the Tri-State area who spends most of her spare time reading “self help’ books, creative writing, biking and hiking. Nature and spirituality are my passions. I have gained tremendous peace on the spiritual path of A Course in Miracles although many other non-traditional spiritual teachings resonate with me. I believe in deep friendship and communication as well as a life of service and making a difference. Seeking: Kindred spirits on the spiritual path. Self Description: I'm 23 and from Georgia. I'm a psychology major and beginning to read auras (trying) I'm big into the subconscious as far as letting your "gut" or intuition lead you life. I know that nothing is a coincidence, but everything happens for a reason. Small, cool things happen to me on a daily basis. Seeking: I'm interested in meeting anyone who is like-minded and is kind a spiritual. Self Description: Down to earth person who enjoys the metaphysical realm. Currently into Diana Cooper's Angel Inspiration work. Will eventually do healing work. Seeking: Interested in people who enjoy being on their spiritual path.